Time is Running Out, Register for the Lincoln Day Dinner Today! 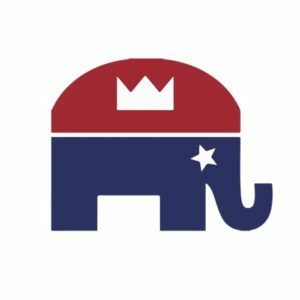 Do you want to celebrate the Republican Party and hear the good news on what is in store for Republicans in 2018? Join the King County Republican Party for our annual Lincoln Day Dinner this Saturday, April 21st at the Hyatt Regency Bellevue at 6pm. The KCGOP is pleased to have nationally renowned political analyst Scott Rasmussen as our featured speaker for the evening. Scott is the publisher of ScottRasmussen.com and the Editor-At-Large at Ballotpedia, the Encyclopedia of American Politics. For Ballotpedia, he writes “Scott Rasmussen’s Number of the Day”, exploring newsworthy and interesting topics at the intersection of politics, culture, and technology. Scott is also the founder of Rasmussen Reports, co-founder of ESPN, a New York Times bestselling author, public speaker, and syndicated columnist. The event will also feature a fun cocktail reception, a number of awards given during the event, delicious food, and more!